We are currently open for Parties only! Classes will resume in our new studio location by early 2019! We have many structured pole fitness classes available to give you an intense workout that is fun and rewarding. Finally the perfect excuse for a ladies night. Whether it’s a bachelorette party, birthday party, or just because, we got you covered. Want one-on-one personal training? Pole Dance Miami offers private training sessions for pole dancing, silk, and more. Ready to Get Started? Click Below. 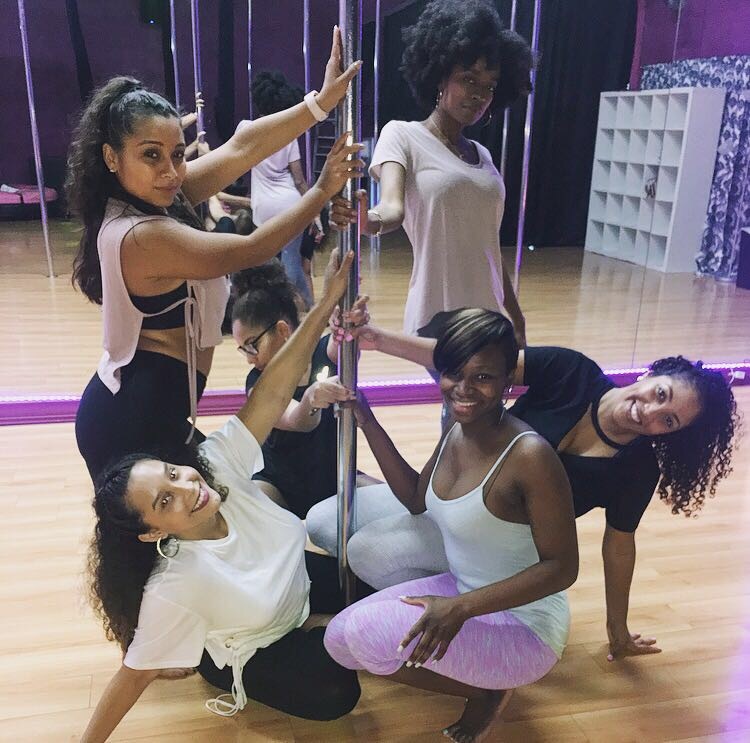 We have weekly classes including Pole Classes, Dance Classes, and Fitness Classes Mon – Sat! We also offer Pole Parties, Birthday Celebrations, Bachelorette parties, Girls night out, or any other special occasion with your closest girlfriends. *All purchases are final. No refunds on any service. And no transfers, cancellations, or “freezing” of services.